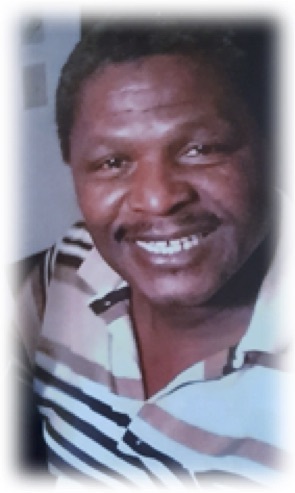 Obituary for Kelvin K. Staggers | Larry Smith-Cooper Funeral Home, Inc. Brother Kelvin Keith Staggers entered into eternal rest on Tuesday, April 17, 2018 at 7:30 AM at The Mullins Nursing Center in Mullins, South Carolina after an illness. He was born on June 14, 1959 in Mullins, South Carolina to the late Samuel Staggers, Sr. and the late Myrtis Staggers. He attended Mullins High School with the class of ’78. He worked at Rains Nursing Center, Mullins Hospital, Marion County Medical Center, Carolinas Hospital System and he also did private duty for different people in the community. To know him (Keith) is to love him. He was admired by everyone whom he came in contact with. He leaves to cherish fond memories his wife: Carolyn Lynette Mason Staggers of the home; his children: Kelvin Keith (Glory) Mason of Cameron, NC; Aston Montrey (Quasheaka) Staggers of Fayetteville, NC; brothers: Samuel Staggers, Jr., Herbert Staggers, Rev. Donald Staggers, Darren Staggers; one sister: Jennifer Furman; father-in-law: Grady Gilchrist; eight sisters-in-law and a host of aunts, uncles, nieces, and nephews; eight grandchildren; a special mother: Ms. Nancy Rowel; special sisters: Lisa Phillips, Bodie Timmons, Carol Rowell and Natasha Rowell; three brothers-in-law, one preceded him in death.